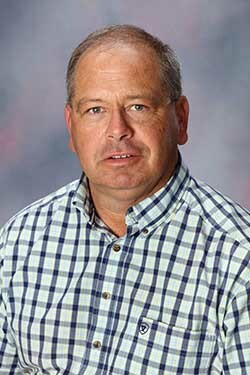 HAYS, Kan. – The National Western Stock Show, established in 1906 and defined as the nation’s premier livestock, rodeo and horse show, will be partly officiated by Fort Hays State University’s Kevin Huser. Huser, an instructor of agriculture and a livestock judging coach, will officiate Denver’s South Devon show, a part of the National Western Stock Show, in January. The show, a celebration of western lifestyles and communities, strives to strengthen American agriculture through enrichment programs and youth education in livestock, equestrian, farming, ranching, animal awareness and appreciation.